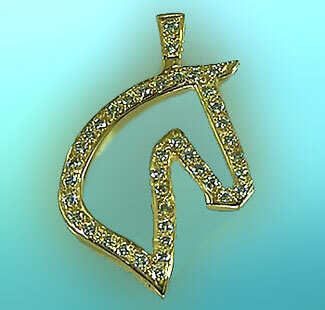 3-Gaited Saddlebred Silhouette with .45ct of Diamonds, this piece is stunning. Great for a night out on the town, or a night at the Saddlebred World Horse Show. A conversation piece to say the least. Pictured and Priced here in 14kt Yellow Gold.